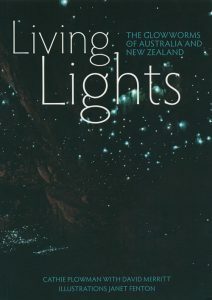 Living lights: the glowworms of Australia and New Zealand. Artist/Author: Plowman, Cathie and David Merritt. 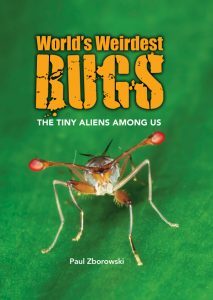 This book is an introduction to glowworms from the order Diptera which includes flies. They are all in the genus Arachnocampa, which has one species in New Zealand and eight species in eastern Australia. 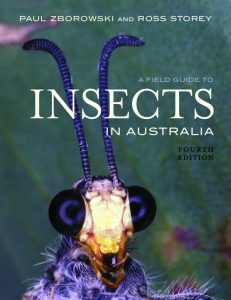 The story is not a simple entomological treatise on the subject, Queensland fruit fly, but an investigation of the farmers, government officials and scientists who have had to deal with the fruit fly, their varied responses, and ultimately, the authors own investigations. 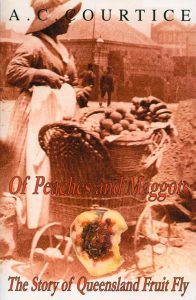 The conclusions and implications point to a particular interpretation or re-interpretation of Darwinian evolution; they point to the impacts of a foreign horticulture and colonial mentality on a new continent; and if you dont know in advance what is the crucial discovery that explains the flys resilience as a pest, there is an element of a scientific mystery story here.